Bolshoi etoile Svetlana Zakharova named best ballerina at ‘Oscar of Ballet’. The 23rd annual Benois de la Danse ceremony, known throughout the world as the "Oscar of Ballet," took place on the historic stage of Moscow’s Bolshoi Theater on May 26. The prize, which was established in 1991 in Moscow by the Association (currently International Union) of Choreography, is given to dancers, choreographers, composers and librettists for outstanding achievement in ballet in the previous year. This year five choreographers, five ballerinas, six male ballet dancers, two composers, one scenographer and two librettists were competing for the Benois de la Danse 2015. The best choreographer was named as Christopher Wheeldon from The Royal Ballet in London, the best ballerina was Bolshoi etoile Svetlana Zakharova, while the best male dancer was the principal from the Royal Ballet, Edward Watson. This year there were also nominees in the field of ballet music, with Joby Talbot named as best composer. The prize for best scenographer went to John MacFarlane from the San Francisco Ballet, while the prize for best libretto was not given. The jury that chose the winners consisted of international experts headed by Russian choreographer Yuri Grigorovich. It also included dancer and ballet master Luigi Bonino, Bolshoi Theater pedagogue Alexander Vetrov, Artistic Director of the Norwegian National Ballet Ingrid Lorentzen, dancer and choreographer Vladimir Malakhov, Director of the Royal Ballet Kevin O'Hare and Artistic Director of the Complexions Contemporary Ballet Desmond Richardson. 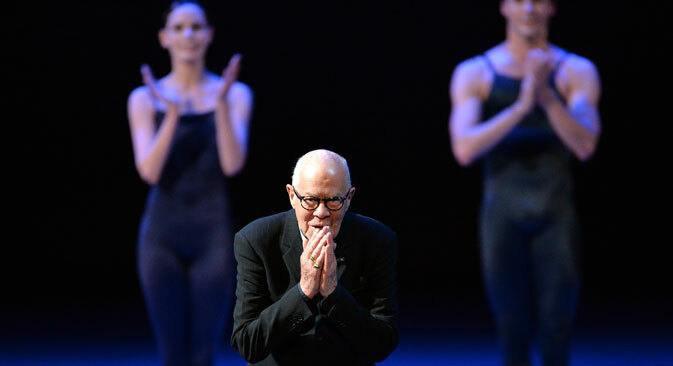 "With every year the Benois de la Danse broadens its horizons," said Yuri Grigorovich. "By now it is an international ballet festival, which not only includes the awarding of a prize, but also two charity concerts in which the nominees and the winners participate. It is an event thanks to which all the stars of world ballet come to Moscow." Grigorovich added that this year the jury would also be awarding, for the first time in Moscow, the joint Myasin Positano Benois de la Danse Prize, which was established in 2014. Last year’s winner was Swedish ballerina Ana Laguna. "This combination will enrich our festival, it will enrich the art of choreography, it will expand cultural ties, which are important today not only for ballet," underlined jury president Grigorovich.